Lindsey Andrews, one of Arcana's two owners, printed these signs shortly after Prince died, and they've remained up ever since. 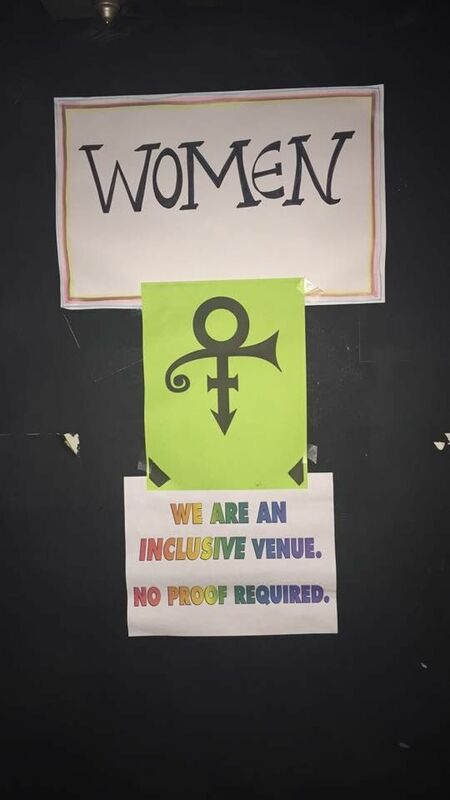 The Prince symbol captures the essence of non-binary (and also tends to make people smile when they're waiting for the bathroom). 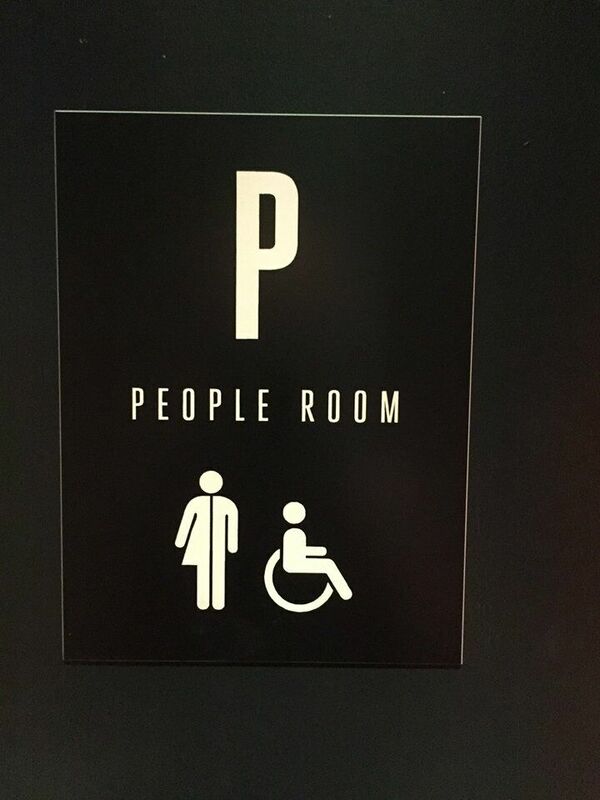 21c Museum Hotel Durham installed new restroom signage designed by artist Peregrine Honig. Each sign is a work of art, numbered and signed by the artist, titled We Don't Care. 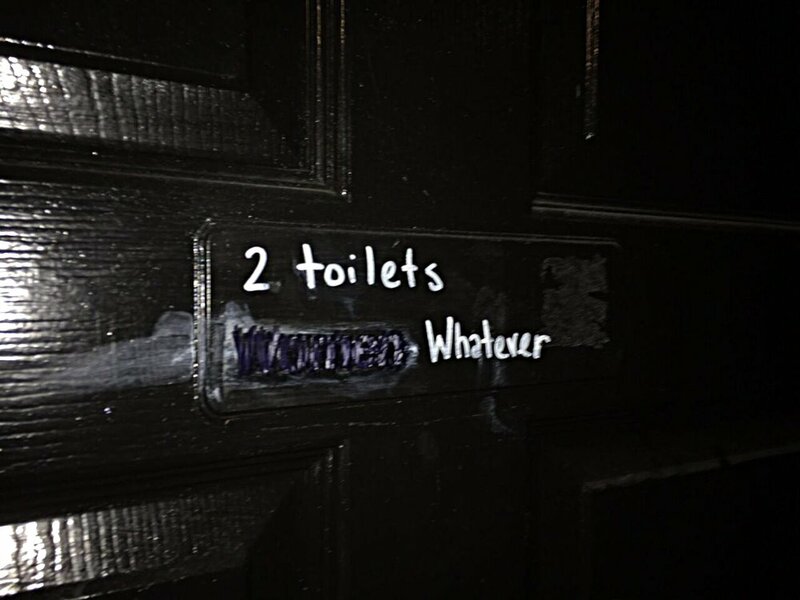 The title refers to the position of "all are welcome," or we don't care where you go to the bathroom. The installation gives the community another way to engage in conversation around the issue. Thought-provoking contemporary art fosters dialogue and discovery.